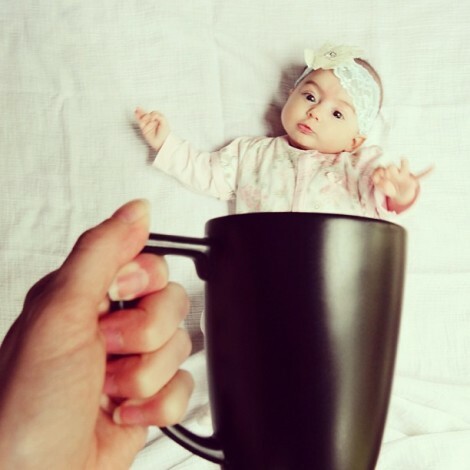 A new meme for coffee loving parents has started brewing on Instagram thanks to Ilana Wiles, the mommy behind Mommy Shorts, a blog that takes a humous look at parenting. The idea was originally a response to the Boston marathon tragedy, when Ilana was at a loss for words and just wanted to share something to make people smile. 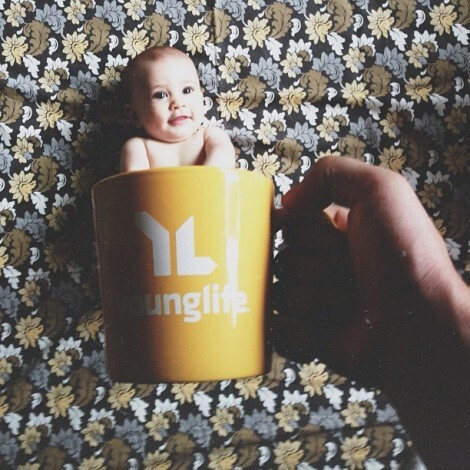 Two months later, there have been more than 1300 babes photographed in their parent’s mugs. 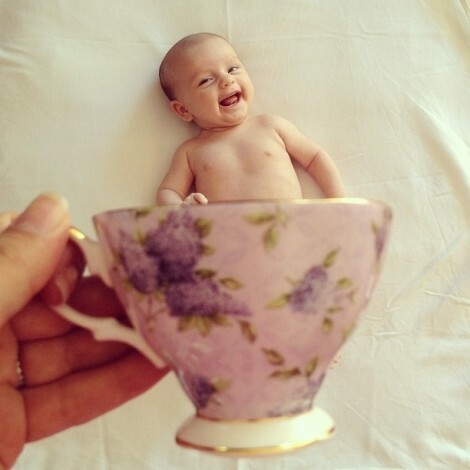 The baby mugging technique is simple: lay baby down, hold mug in front of baby (empty would be wise), take a photo. 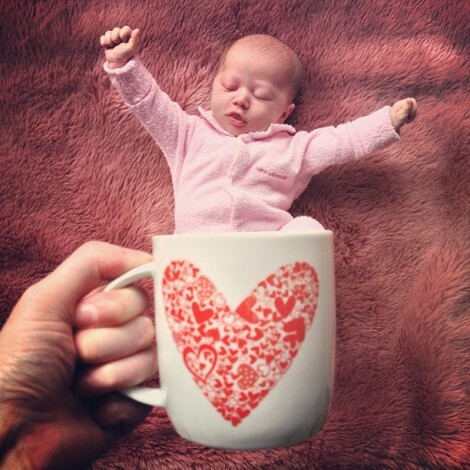 Now you can share your adorable offspring, your favorite mug and your choice in designer sheets simultaneously. 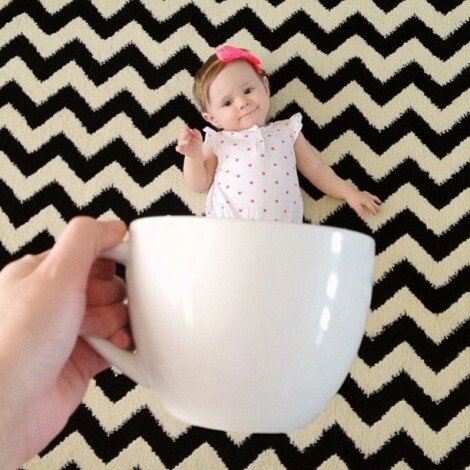 This might give new meaning to the word babycino.